The powerful Jace planeswalker and aggressive Elf cards are no longer banned in Magic's Modern format. On February 12th, 2018, Wizards of the Coast announced that the cards Jace, the Mind Sculptor and Bloodbraid Elf are no longed banned from Modern decks in Magic the Gathering. The infamous Jace planeswalker has neer before been legal in the Modern format. However, Bloodbraid Elf was part of some powerful and dominant Jund decks in the Modern format's early days. Unsurprisingly, it seems that most Magic players are happy about these unbannings. They are powerful cards, and some players have waited for years to play with them again. The sentiment among those that aren't as excited is that it was unnecessary to unban them. I disagree. Modern needed fresh blood. The format is OK, yes, but with Modern back on the Pro Tour and a huge Modern Masters set on the way, why not shake things up now? After all, it has long been my opinion that neither of these cards should ever have been banned in the format. Keep in mind that Modern has become a format in which four-drops must do something awesome to see play. This point will be revisited several times later. Both of these cards are exceptionally powerful, in very different ways. I'm happy to see them enter play to add some new diversity to the format. Why Unban Jace, the Mind Sculptor and Bloodbraid Elf? "Jace, the Mind Sculptor and Bloodbraid Elf are each individually powerful cards that were originally banned because they were simply too good. As the rest of the format has caught up in power level, these two cards have been on R&D's short list of cards to reexamine for unbanning. We've been closely monitoring the evolution of the format over the last several years and chosen this as the best time to make a change." Note that bit about power level. Modern has grown a lot since 2013, when Bloodbraid Elf was banned. Magic is a game whose power creep has been undeniable. Cards that were once "too good" simply are now just "very good." The article also mentioned that Jace's presence in Masters 25 will make new copies of the powerful planeswalker more readily available. This is definitely true. Bloodbraid Elf is already plentiful, being an uncommon reprinted numerous times. So, it seems that Masters 25 was a major reason for these unbannings. Is Jace, the Mind Sculptor As Powerful As He Once Was? "The most iconic and powerful planeswalker card of all time, Jace, the Mind Sculptor has been on the Modern banned list since the format's inception. At the time, Jace was not far removed from being banned in Standard. Jace was also strong enough that it was being played in the incredibly powerful Legacy format. Over time, competitive Modern has evolved to be a format of fast, proactive threats. The bar for tapping four lands during one's main phase to cast a single spell is quite high, often restricted to cards that threaten to win the game immediately. For example, if you look at the Top 8 from Pro Tour Rivals of Ixalan, cards that cost four mana that aren't instants are far and few between. In watching the format evolve, we've observed that decks seeking to control the game have struggled against the speed and variety of threats present in the format. Often these decks have been forced to adopt an explosive win condition of their own. Our hope is that Jace, the Mind Sculptor will provide yet another option in an already diverse format, giving controlling decks an alternative way to close out prolonged games." I get why some people are annoyed about the return of Jace the Mind Sculptor. I particularly like Matt Sperling of Channel Fireball's commentary on the matter. The guy dominated Standard and Legacy for a long time. And yeah, the timing seems too convenient, TMS should help sell the set. But the official reasoning is sound. As I already said, four-drops are sort of the top of the mana curve when it comes to Modern. Jace gives you a lot of options for four mana. The Brainstorming for 0 loyalty is obviously good and in a format where Opt and Serum Visions are usually your best cantrips, it's more than welcome. But you know what, Jace can also bounce creatures – a mode used quite liberally by Standard players. Suddenly that big looming threat doesn't look so bad. Jace's other abilities: the +1 "fateseal" ability and ultimate ability are probably not going to come into play much in Modern except in stalled boardstates. That's a real thing that's already been mentioned, and the data supports that this is a good role for Jace to fill. And yes, that ultimate wins games, and entire tournaments. That's really why people hate Jace. He can take over a game. And in Modern, that can be OK if it's the only way for some decks to compete, like control. I'd argue that Magic's power level has risen to the point that Jace is still very powerful, but he's more of a role player now who can still turn the tide in your favor if given the chance. "Bloodbraid Elf was banned in January 2013 at a time when Jund was the best midrange deck and perhaps the best overall deck in the format. In addition to weakening Jund's overall win rate, a large part of the goal in banning Bloodbraid Elf was to create more diversity among midrange decks. Since that era, Modern has seen black-green-based midrange decks evolve to use a variety of other colors and threat packages. There is now a healthy choice between, for example, adding red for Lightning Bolt and Ancient Grudge versus adding white for Lingering Souls and Stony Silence. With the unbanning of Jace, we may even see some of these decks shifting toward blue. On top of that, other midrange decks like Mardu Pyromancer have emerged. There are now sufficient options available to have confidence that Bloodbraid Elf will no longer be as detrimental to deck diversity as it once was. As a four-mana card that doesn't necessarily win the game on the spot, Bloodbraid Elf is at its best when games are longer and resources are being exchanged. Although an aggressive card on its face, Bloodbraid Elf should provide further incentive for deck builders to move up the mana curve and play interactive games." This is a great thing for Modern: INTERACTION! I love aggressive mid-range decks. My own early decks were built around Shards of Alara and they often played Bloodbraid Elf. Yes, the Elf being back means Jund players get their free Liliana of the Veils and Tarmogoyfs. But while Cascade is a dirty good mechanic, there are a lot of other things you can do with this four drop. The thing that immediately comes to mind is all of the three drops that are on the fringes of Modern that Bloodbraid Elf suddenly makes viable. These include planeswalkers such as Domri Rade and creatures like Loxodon Smiter – cards that are technically playable in Modern but far more playable when you can occassionally cast them for free. Also, when you play with Cascade, you have to really think about your deck construction. Bloodbraid Elf welcomes you to play games of attrition in which every move you made must be calculated. Yes, getting free planeswalkers and Goyfs is great, but you won't always hit those things - you'll hit a lot of Lightning Bolts, too. Cascade is inherently random and fun. Fun is good. Are Bloodbraid Elf and Jace, the Mind Sculptor Meant to Balance the Modern Metagame? Ironically, Bloodbraid Elf is a natural enemy of control and Jace, the Mind Sculptor. After all, the Elf is a 3/2 creature with haste herself so she can throw some punches as well as some extra spells at you. But no, they came into Modern together because they are good four-drops and Modern needs more of those. Eldrazi and Tron are the only other decks who consistently cast four-drops, after all. Yes, these are powerful cards, and Jace sells sets. But the data that Wizards is looking at told them that they were able to be used in the format again, and I believe they were completely correct. I'm more excited about Bloodbraid Elf and the havoc she'll wreak with the new toys Jund has picked up over the past few years. But Jace will be a solid addition to some fringe control strategies and give already decent Bant, Jeskai, and Sultai Midrange decks a powerful new ally. How do you feel about Bloodbraid Elf and Jace, the Mind Sculptor being legal in the Modern format? 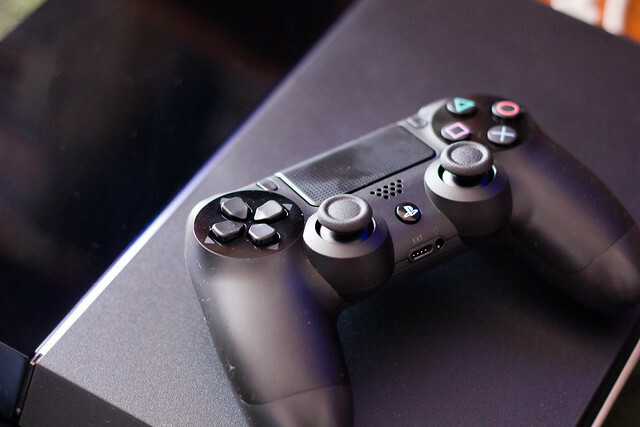 PlayStation 4 is Still the World's Most Popular Gaming Console in 2018... By a Lot! The 2017 holiday season proved to be an extremely good time for the Sony Playstation 4 console. According to Business Insider, between 11/19 - 12/31, there were over 5 million PS4 consoles sold over the holidays. This brings the lifetime total of Playstation 4 consoles sold to 73.6 million! That's more than twice as many consoles sold as Xbox One, the PS4's closest competitor! In contrast, the Nintendo Switch sold 4.7 million consoles in its first four months. While that's not bad at all, thw Switch is expected to sell 14 million units in its first year. Sony expects 18 million PS4 consoles to sell in the same time. The Switch is new, and the PS4 is still selling that well! It's the opinion of many that the PS4 has become the premiere gaming console system to own. Do you agree or disagree? What's your favorite gaming console?